This small format kettle is perfect for heating water while travelling. An essential carry along for coffee or tea drinkers. 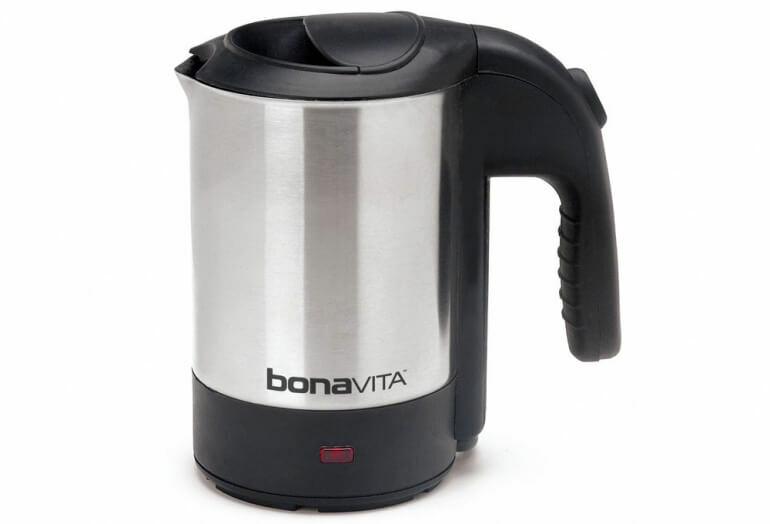 The Bon Voyage is a 0.5 liter travel kettle from Bonavita. This small format electric kettle is perfect for heating water while your travelling or for use in a small space like a college dorm. The kettle features a 900 watt electric heater for fast boiling. The unit comes with standard auto-shutoff and boil-dry protection found on larger format kettles. This is the perfect unit for anyone looking for a simply, small-capacity kettle. If you need something even smaller for travelling, we suggest you check out an immersion heater.